Our experience has taught us that questions related to automatic garage doors never end. We find it absolutely reasonable and try to be of assistance as much as we can by offering here the answers to the most common questions. We write them in a simple way for everyone's convenience. A thorough list of the most commonly asked garage door repair questions. Explained easily. Are there specific brands that offer strong doors for areas with high winds? 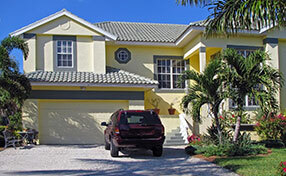 Our technicians recommend Clopay garage doors for those who live in states that frequently experience high winds. Their doors are strengthened with metal struts, and their garage door rollers and tracks can withstand very high winds up to 175 mph. In common scenarios particularly in a household set-up, Garage Door Repair Shoreline experts recommend a garage door with at least 4 ½" headroom break. Setting up a garage door opener, however, may require a little bit more space, about 6 ½" at least. You may advise your nearest dealer and discuss the ceiling situation for an accurate adjustment calculation. If you have a metal garage door, you can use any type of opener. However, in cases where you have limited headroom, a jackshaft opener may work best since it needs clearance. Heavy wood doors will likely need a chain drive opener for optimum convenience. Garage Door Repair Shoreline experts suggest checking out your options in order to come up with the best opener for your door system. 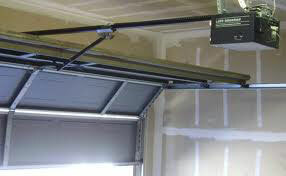 Garage door tracks serve sliding and overhead systems and so different ones will be needed in each case. There are different tracks in terms of length and overall dimensions. They differ in length, width and thickness and you should order them based on the requirements of your garage door system. Overhead doors will need vertical tracks installed at the side walls, curved tracks for the up corner and horizontal tracks that will run across the ceiling. How long will my door springs last? Ideally the garage door torsion springs have a lifecycle rating of 10,000 cycles but it all depends on their usage as well. Garage door repair Shorline professionals believe that an average spring should last up to 7-12 years for an average user. How much power should my new garage door opener have? The horsepower of the opener should correspond to the size and weight of the door. Standard two- and three-layer doors for two cars require around 0.5 horsepower. If you have a heavier wood door, you can consider an electric operator which produces 0.75 or 1 horsepower. You should consider a more powerful unit if you require a faster opening speed. What causes garage door noise? Noise comes from vibrating garage door parts. Parts vibrate due to loose fasteners. Our experts explain that noise will also result from lack of lubrication maintenance. Since, most components are made of metal; noise is produced when they come in contact with each other without lubricants to soften their movement. Garage door springs also create noise if old and so will the opener's chain.